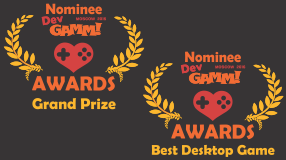 DangerSpace nominated for ‎DevGAMM‬ 2016 Best Desktop Game and Grand Prize awards! There were more than hundred games chosen for competition. We are grateful to the organizers DevGAMM for the high evaluation! The game was shown to everyone on a separate stand. Colleagues game developers and media representatives are very well appreciated the game. This video shows you how to control your spaceship in the DangerSpace game. 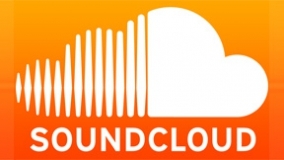 Though for a while there were no news about the project, it is nevertheless actively being developed. Since the last publication, a huge work has been done, like, added voice and new game tasks. Storyline is being worked on as well as the variability of its passing. 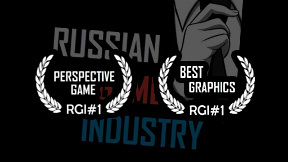 DangerSpace is winner of the We are Russian Game Industry competition. the first place in the nomination "The most perspective game"
the first place in the category "The Best Graphics"
the third place "User's Choice"
the seventh place "Editor's Choice"
The competition was attended by 10 finalists from 301 projects taken from GamesJam Kanobu 2015. Details can be found here. 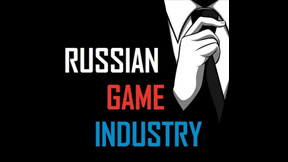 Interview with the developer for RGI | We are Russian Game Industry. Will it be possible to cooperative in the company? After all, it will be more interesting, right? 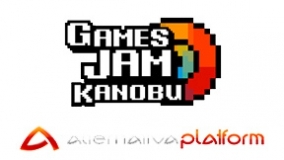 KANOBU along with GamesJam carries out the festival of independent developers for the second time, where beginners and not very good developers show their projects for the wild-public judgement. Some other few months passed. During this time, the project was actively filled by new models of ships and weapons. The project site was updated. Some new sections devoted to the world of the game, the description of the ships, units and tactics were added. It has been 8 months since the last publication. All this time the project has been actively developing. Its own scripting language has been created with expanding opportunities for new missions. Serious optimization, redesigne of visual parts and graphics Improvment has been carried out without any performance loss. Many changes have been made in the game’s interface. 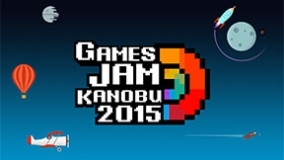 The updated version of the game was presented at the GamesJam and KANOBU festival. 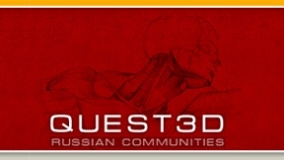 Publication on the forum of Russian-speaking community called Quest3D. 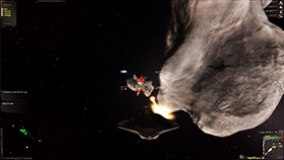 This forum dedicated to the Quest3D engine on which the project DangerSpace was created. We are currently discussing the technical aspects of using this technology. 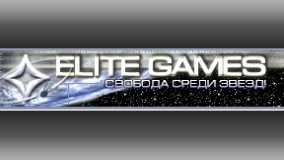 It is a Russian-speaking community dedicated to the space theme games. It contains part of the game level with resource maining and building of ships. 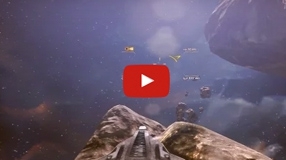 DangerSpace is Launched. 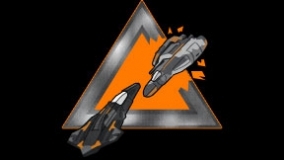 DangerSpace is an independent project inspired by the wonderful game called BattleZone, 1998. 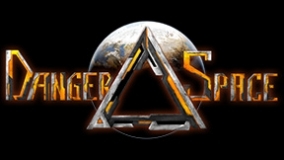 DangerSpace is a mixture of real-time strategy and space simulator in which the player controls the forces from the first person.